a texas tradition ended yesterday. 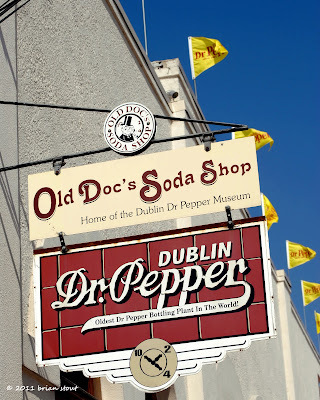 dr pepper snapple corporate came in and bought out the local dublin dr pepper bottler and ceased production of pure cane sugar dr pepper at the local facility. doc's soda shop will remain open, but the bottler will no longer bottle the original dr pepper that's been their main product since the 1880's! So sad to see it go. No more Dr. Pepper products for me. Hopefully the corp big wigs realize what the plant means to Dublin and reverse their course. My feeling is that they will have the Dr. Pepper Days this year and slowly close the plant hoping nobody notices in the summer.